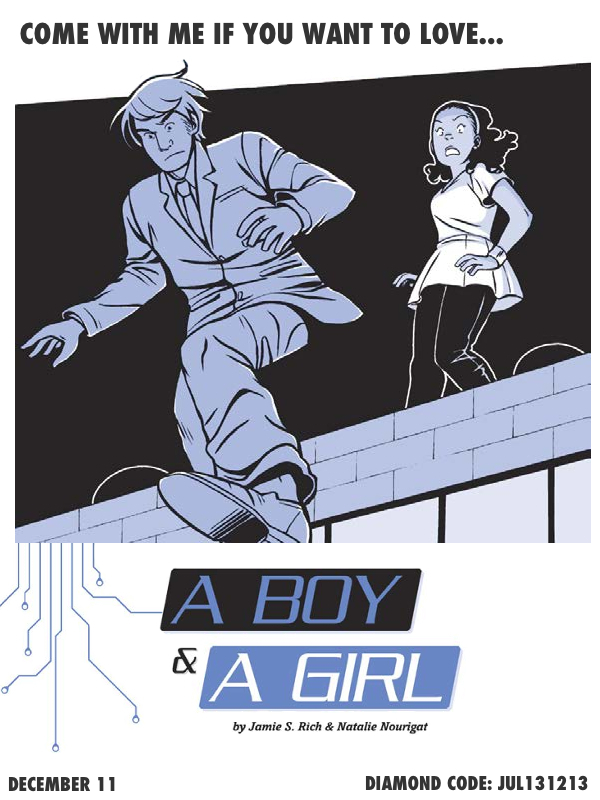 The order cut-off date for preordering A Boy and a Girl is 11/11. Tell your comics retailer you want it today, since it's new comics day and all. Read more, including a ten-page preview, right here. And read a brand-new interview with Natalie Nourigat conducted by Tim O'Shea.